From B & G Foods Inc. Personally, I love Cream of Wheat, but I don't really like this variety of it. When prepared, this hot cereal smells like hot chocolate, but it tastes more like uncooked brownie batter that's desperately in need of vanilla, more sugar and higher quality chocolate. On it's own, it's boring. The way to better enjoy this product is alluded to on the box. Add some berries. I tried it once with raspberries and another time with maraschino cherries. 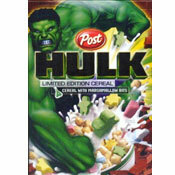 In both cases, the bright flavors of the berries gave new life to the mundane chocolate flavor of the cereal. With berries, I give this hot cereal a score of 4 out of 7. Without berries, it gets a lowly 3. 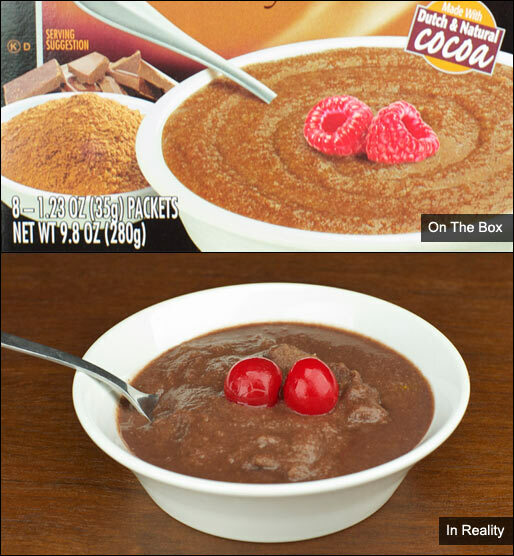 One note on preparation: I had to microwave my Chocolate Cream of Wheat 20 more seconds than the package suggested. As directed, I ended up with bowl of half mush and half broth. A quick stir and 20 more seconds gave better results. Nutritional Considerations: Each single packet serving has 130 calories, 1 gram total fat (0 saturated and 0 trans), 28 grams total carbs, 1 gram dietary fiber, 14 grams sugar and 2 grams protein. 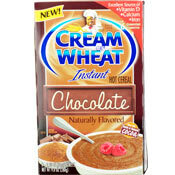 What do you think of Instant Chocolate Cream Of Wheat? It's really good with a tablespoon of peanut butter mixed in after it's cooked. I love it but can no longer find it stores? How can I order to buy it? Loved it! The Cream of Wheat had the distinct taste of Hershey's chocolate. My only complaint is that this variety of Cream of Wheat is too hard to find. If it tastes anything like CoCo Wheats (gross), then I'll never try it. You are right about the nostalgic comment. We used to eat Cream of Wheat as kids with spaghetti sauce and Parmesan cheese on top. It was kind of a polenta replacement. I am not wild about chocolate in some of my breakfast products. I would love to see what you think of the chocolate oatmeal made by Better Oats.